The kitchen really is the heart of the home and having great kitchen appliances is always important. That is why Neff Appliances, in business for well over 135 years, makes the most innovative, practical appliances you could ever hope for. Located in Baden-Wurttemberg, Germany, there is also a factory in Bretten, where most of the ovens are manufactured. The company strives to create high-quality appliances at affordable prices, and because the factories are so conveniently located they are able to ship the products to UK customers in the most effective ways, ultimately reducing their carbon footprint. Neff offers a wide variety of different appliances that you can use in the kitchen and their design team has created a variety of different colours and finishes that will go with any kitchen theme. Offering both single and double oven makes baking so much easier and cooking any food a breeze. Some people prefer to cook on hobs, which is something that they specialise in. Cooking with gas can give you more control and it is so much more responsive. Induction hobs work in the same way, but are cleaner and in some instances, safer. You will see that Neff offers both of these hobs to customers. Some hobs are even made with excessive safety in mind and have pan-recognition technology so no one will get burned. Neff also offers fridges as well, from classic, free-standing designs to freezers to store everything that won’t fit in the fridge freezer. You will also see that Neff offers compact appliances for smaller kitchens as well, including coffee machines, warming drawers, microwave ovens and even compact ovens. If you’re looking for a super modern look, you will be happy to know that Neff offers most appliances in a classy, stainless steel finish. They also offer the classic black appliances that are sure to look sleek in your kitchen. Neff also offers a wide selection of accessories, meant to be used with their appliances. Cleaners and spare parts can easily be ordered directly when you need them and are designed to make your life and care of your kitchen so much easier. 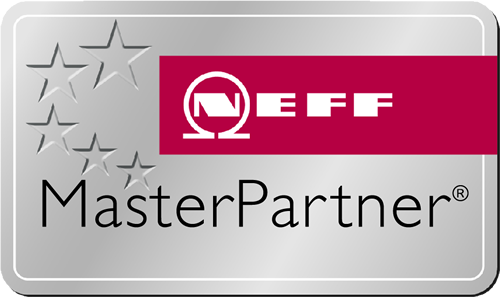 In the business for over a century, Neff is easily one of the industry leaders when it comes to innovative kitchen appliances. Offering some of the best and most affordable designs, Neff creates products for every taste with gorgeous finishes, including stainless steel. If you’re looking for futuristic kitchen appliances at decent prices, check out the extensive line of beautiful products created by Neff.